I've never been a particularly huge fan of first-person shooters. But when Steam offered Valve Software's zombie shooter, Left 4 Dead, for half of its normal $50 price, I couldn't help but to click the "Add to Cart" button. A couple hours later, I was jumping into the first level of the single player campaign. The premise of the game is pretty straightforward. You take on the role of any one of four archetypal survivors of the zombie apocalypse: Bill the Vietnam veteran, Francis the biker, Louis the IT professional, or Zoey the college student. The four of you are immune to the rabies-like virus that has transformed the masses from benevolent citizens into ultra fast, flesh hungry Infected. And as a survivor, your goal is to shoot your way from safe house to safe house in one of four campaigns, each of which is presented like a classic horror film. Along the way, your party will be wailed upon by waves-upon-waves of standard flesh eaters and super infected, which the famed AI Director will throw at you from dynamic positions. To add to the tension, your party will encounter five different super zombies (Hunters, Boomers, Smokers, Witches, and the impressively intimidating Tank), forcing you to stay aware of your surroundings at all times. Left 4 Dead’s graphics and sound are nice, but not so nice that anyone with an older computer can’t play. This trade-off between production quality (with the implied resource intensiveness) and performance is, in my opinion, a smart one. Nothing about the presentation of seems particularly remarkable, but that’s certainly not a bad thing. The focus of the game remains, above all else, shooting zombie. I played through all four campaigns in a couple of days and enjoyed the game as the solid shooter that you would expect from Valve. 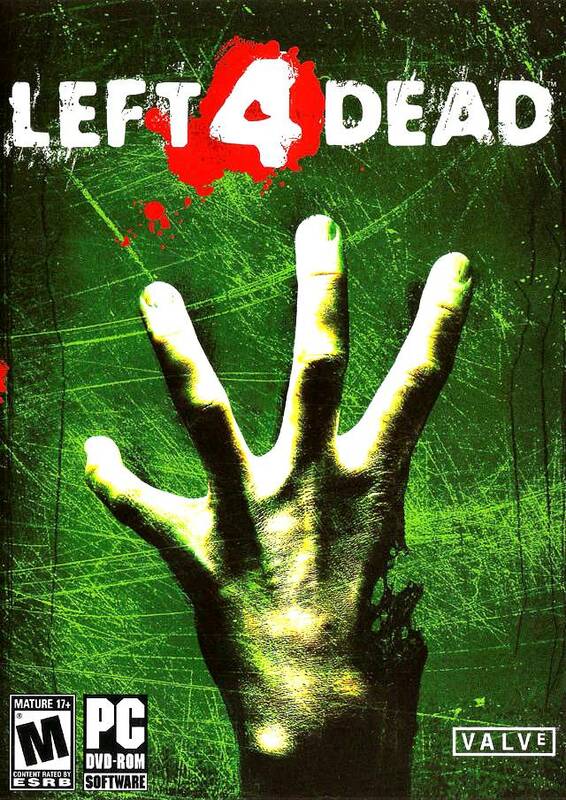 But it wasn’t until I jumped into my first multiplayer game that I really understood the brilliance of Left 4 Dead. Playing with other people who respond to unpredictable surroundings more realistically adds a great deal of excitement to the experience. The multiplayer consists of two different modes: Cooperative and Versus. Cooperative mode is essentially the same as the single player campaign except that the other survivors are played by real people. Versus mode, in turn, is the same as Cooperative but with real people playing as the Infected. Both of these modes are enormously fun and vastly re-playable. In the end, I would have a difficult time recommending that anyone purchase the game solely for the single player campaign, even with the AI Director constantly varying the encounters. You really need to be connected to the internet to get the most out of this game. The one-two punch of the unique Director-driven encounters and Co-op multiplayer makes Left 4 Dead’s more than just a competent 5 – 10 hour shooter, but a nearly infinitely playable experience in social-survival.